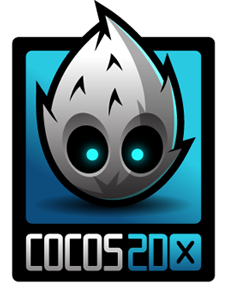 cocos2d-x is the natural evolution of the cocos2d-iphone engine to C++ and it is stable and producing multiplatform games. cocos2d-iphone is a great Objective-C game engine (and the first really) that began as a python engine called cocos2d and was ported to Objective-C + iOS early on in the iPhone SDK days. Arguably Unity and cocos2d are the two biggest indie engines on the App store. Cocos2D is a very simple engine and coming from Flash development many of the concepts are similar (i.e. Sprite, Actions/easing, Layers/Scenes (although slightly different), etc). But getting your Objective-C game to Android and other platforms is not a fun task. There are other options like andengine for android from cocos2d port but each port only gets you so far as you still have two codebases for one game on iOS and Android. Unity obviously can open up platforms for you but cocos2D-x can also do that for 2D games across iOS, Android, Blackberry Playbook, Windows, Linux and more! This is possible because like oolong engine and other custom multiplatform engines for mobile the core is in C++ with presentation view wrappers/stubs in Objective-C++/C for iOS, Java/C++/NDK for Android, etc. The list of games shows that it is stable and a well treaded engine including games like Hero Academy from Robot Entertainment. cocos2D-x even has a port of cocos to C#/XNA for Windows Phone development using all the classes you know and love from cocos2d. That is actually pretty sweet to have similar logic to reach Windows Phone (Unity and others bypass because there is no native access by developers sadly still, must, use, XNA — strange considering Unity pushes C# development quite heavily but I digress).